Vitamins and supplements are understood to be nutrients that are used by your body in order to remain healthy and operate at efficient levels. These are usually secured through reputable private label nutraceuticals. But there are more ways to ingest healthy substances than just taking prepared dosages of either vitamins or minerals. One way to help people maintain good health, especially digestive health, is through the use of probiotics. But what are they? And how can these private label nutraceuticals help you? The short version is that probiotics are private label nutraceuticals that deliver healthy benefits through bacteria. Normally bacteria are a source of concern, and people try to keep their exposure to them to a minimum. But there are some very beneficial exceptions to this rule! Humans already contain bacteria within their bodies to varying degrees, and the introduction of certain outside bacteria can actually boost our health. Probiotics, although the term may be new, have actually been around for centuries. Yogurt, for example, carries bacteria in it that is considered very healthy, and this one of the chief reasons why yogurt is considered a valuable health food. Probiotics are an even more focused, refined version of what yogurt and some other foods can deliver. When sourced from reliable private label nutraceuticals, probiotics are especially good at helping to promote healthy digestion, among other useful benefits for the body. Lactobacillus, for example, is a common probiotic common to yogurt and other fermented foods. Regular consumption of lactobacillus can help to fight diarrhea due to indigestion. Bifidobacterium is another probiotic that can be very helpful in fighting irritable bowel syndrome and generally helping to insulate against it. Probiotics have been linked to good oral health, skin health, digestive health, and even urinary and vaginal health. 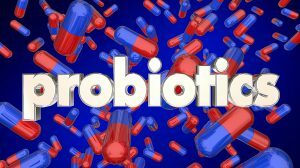 Under FDA guidelines, probiotics are actually considered food, not medications, and so are subject to less stringent regulations, though of course, they still need to be safe to consume. For people that want a more concentrated dose of probiotics without having to buy and consume a lot of yogurt or other foods, private label nutraceuticals are the perfect option. If you’re thinking of getting into the health supplement business, consider providing probiotics as one of your products and help people enjoy better health and digestion with your products. It’s another valuable link in the chain of good health, with plenty of great benefits.